If you look back on the past decade, it’s obvious that the old way of marketing has completely changed. Social media has opened up new communication channels between brands and their customers, and the way businesses advertise has evolved as a result. One platform that’s always up to date on these changes is Facebook, which regularly adjusts its algorithms and ad offerings to reflect this growth. Facebook has grown to meet the needs of its advertisers through the addition of Custom Audiences, which lets you target existing customers on the social network. Businesses have achieved great results using this tool to remarket across devices. And in order to help businesses continue driving conversions, the company has made some improvements that make remarketing on Facebook even more powerful. Here, we take a look at the latest changes and how they’ll impact advertising on Facebook. 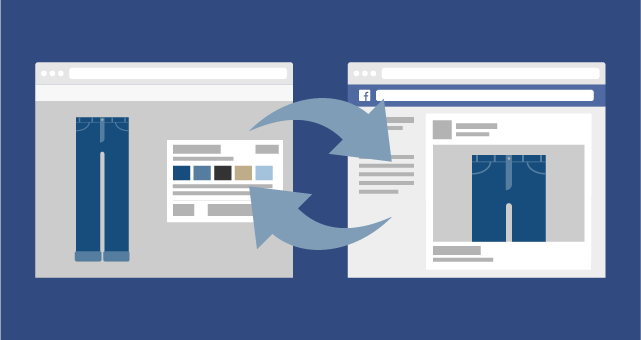 Over the coming weeks, Facebook will roll out several enhancements to Custom Audiences from your website, allowing you to reach people faster and build more refined audiences. These improvements include a new feature in Ads Manager and Power Editor that’ll enable you to easily build specific kinds of audiences — such as people who haven’t visited your website in a while or people that have visited certain pages of your site. You’ll also have access to new audience limits that help you build highly targeted segments for different products in your catalog, as well as a new feature that lets you automatically build audiences based on past activity history on your website. And last but not least, Facebook has made multi-product ads available to advertisers around the world through the Facebook Ad API. Multi-product ads enable businesses to showcase three products within a single ad unit on desktop or mobile. Each product highlighted will have its own image, description, and click target. 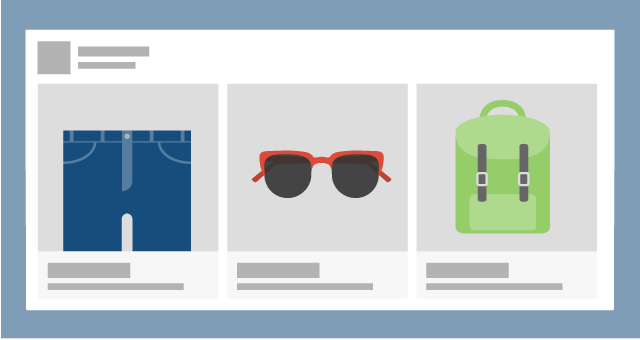 So if you’re an online retailer looking to reach people that browsed your website without making a purchase, you can combine multi-product ads with Custom Audiences from your website to create a carousel of different items to show in News Feed to specific audiences. Why is this important? Because it’s helping advertisers zero in on the most relevant segments of your customer base while maximizing exposure. E-commerce company Nomorerack used this approach and saw its clickthrough rates increase as much as 42 percent and its cost per acquisition decrease between 42 and 45 percent. This is a major upgrade for marketers and advertisers looking to acquire more fans, drive off-Facebook purchases, and build brand awareness. Although multi-product ads are available today, you still have to wait for all of the Custom Audience enhancements to roll out. Whether you’re running existing Custom Audience campaigns or strategizing for the future, here are a couple examples of how businesses successfully used the tool in the past. In preparation for the fall launch of its popular video game Assassin’s Creed IV: Black Flag, Ubisoft turned to Facebook to help drive awareness and purchase intent within its core gaming demographic: males 18-34. Throughout the entire campaign, the brand utilized Facebook to acquire video views among core gamers pre-launch, extend the reach of its TV marketing, and sustain buzz and momentum post-launch. Using Custom Audiences, Ubisoft was able to reach 55 percent of the entire U.S. male 18-34 audience in three days. Premium jeans retailer Twenty Jeans used Customer Audiences from its website to acquire new customers and keep existing ones coming back. By leveraging the direct response tool, the brand was able to effectively reach its target audience and remarket to shoppers who’d visited its website but didn’t purchase. As a result, Twenty Jeans saw a three times decrease in its cost per acquisition and a two-to-six times return on ad spend. If you’d like to read more success stories, visit Facebook for Business. Additionally, if you’d like more help with Custom Audiences, the company recently launched the Facebook Pixel Helper, a Chrome extension that lets you automatically troubleshoot the Custom Audience and conversion pixel installations on your site. Learn more about Sprout Social’s Facebook management and Facebook analytics features here.